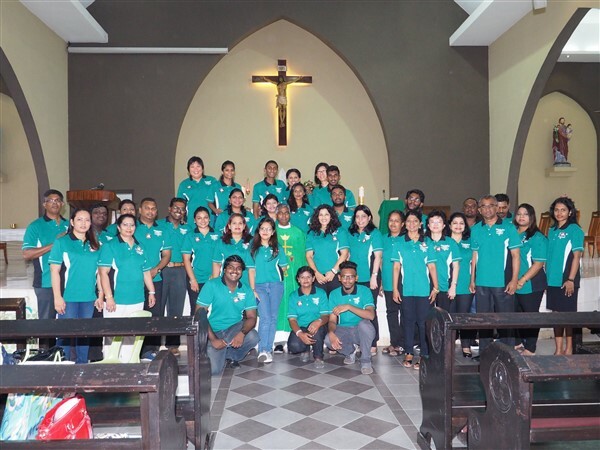 The Church in Malaysia has chosen a theme for the year 2019 Catechetical Sunday – “Christ, Our Mission,” (Phil 1:21). Archbishop Julian Leow, Episcopal Advisor for Catechetical, who is presently overseeing Catechetics for Malaysia, said in his message that he desires all baptised Catholics to be on mission and make Christ known to everyone. The Universal Church previously celebrated Catechetical Sunday on the 3rd Sunday of September. 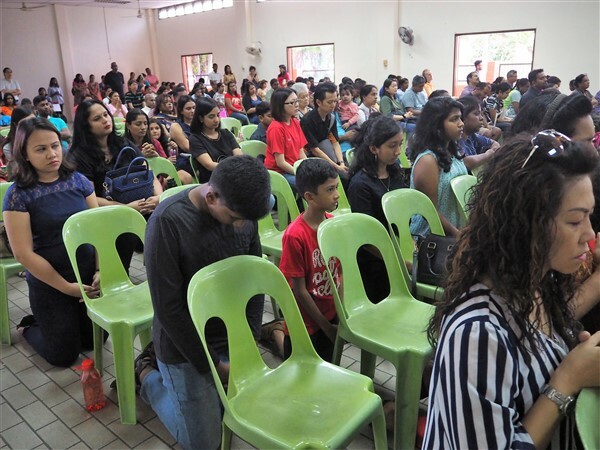 However, two years ago, the Malaysian Church made a decision to celebrate Catechetical Sunday on the 4th Sunday of January. On Sunday, 6 January 2019, we began the registration for catechism students for the year 2019. 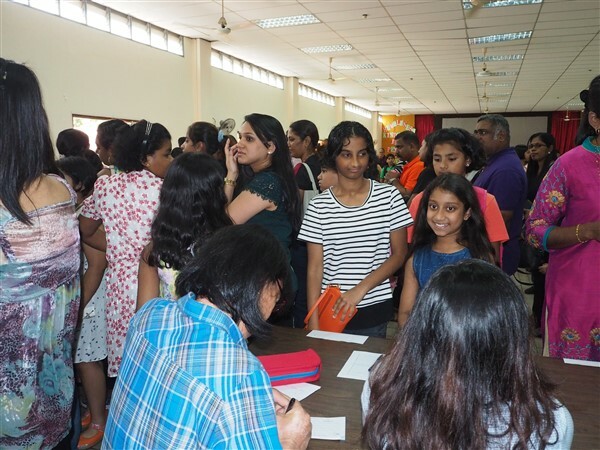 We have a total of 254 Catechism students registered for both languages (224 of them for the English session and 30 for the Tamil session). On the catechism registration day, we also had an exposition of the Blessed Sacrament and a rite of commissioning and recommitment of catechists and students at our Church Hall. First, we commissioned 32 catechists (20 from the English and 12 from the Tamil sessions),10 RCIA facilitators (6 for the English session and 4 for the Tamil session) and one educator for Special Needs Children. They have recommitted themselves to serve in our Parish Catechetical Ministry once again for the year 2019. They have committed themselves to be on mission by communicating the message of Christ Jesus to their students. We thank and appreciate our catechists for giving their time and sharing their gifts in the work of catechesis. Then, we invited the catechism students, class by class to come forth and commit themselves to be present in every lesson and to be attentive to their lessons and show respect to their catechism teachers as well. We, as parents and catechists, hope our children will learn more about Our Lord Jesus and become the true disciples of Christ. We ended the rite of commissioning and recommitment of catechists and students with the blessing of the Blessed Sacrament. On Catechetical Sunday, 27 January 2019, we will initiate the rite of recommitment of parents, together with the rest of the parishioners. We want parents of catechism children, as primary educators, to commit themselves seriously to the faith formation of their children, and guide them in the faith of the Catholic Church. We shall also call upon all Parishioners of St. Joseph, as baptised Catholics, to commit themselves to be always on mission in evangelising Christ, and to make Him known to others, through their words and deeds and to build friendships with one another. As we celebrate Catechetical Sunday this weekend, it will be a great opportunity for us to examine our commitment as disciples of Christ, and take every effort to serve as catechists and faith educators and to share the faith of Christ with all those we meet in our lives. We commit ourselves to being steadfast in our faith in Christ and His Church, and to let others see Christ through us. So, let us live to make Christ known to the world as St. Paul says, “You must behave in a way that is worthy of the Gospel of Christ…” (Philippians 1:27). 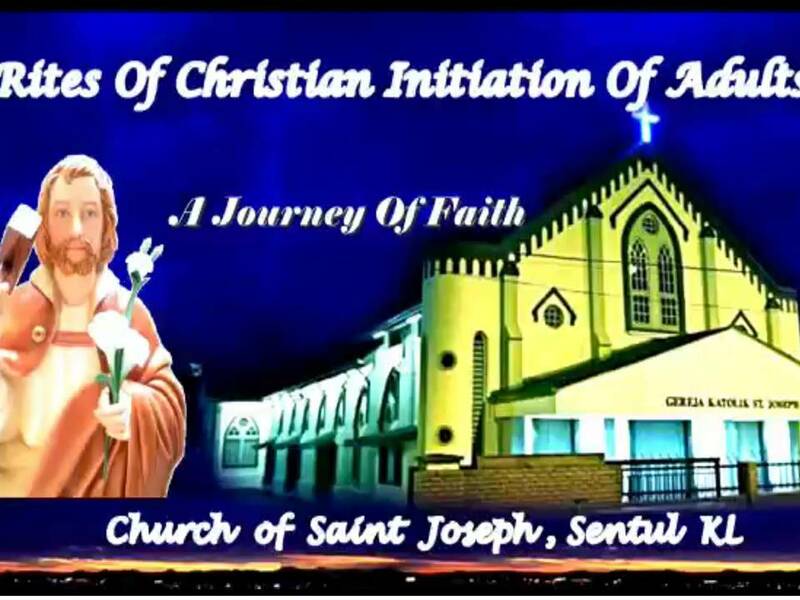 On Sunday,3 February 2019, all catechists, catechism students and some parishioners will be going to the Chapel of Infant Jesus, situated at the foot of Bukit Melawati, Kuala Selangor. It will an exciting pilgrimage for our children, as they will be joining the rest of the community in Kuala Selangor to celebrate the feast of Infant Jesus. May Infant Jesus and His Mother Mary, guide our children to grow gracefully in knowledge, wisdom and understanding.